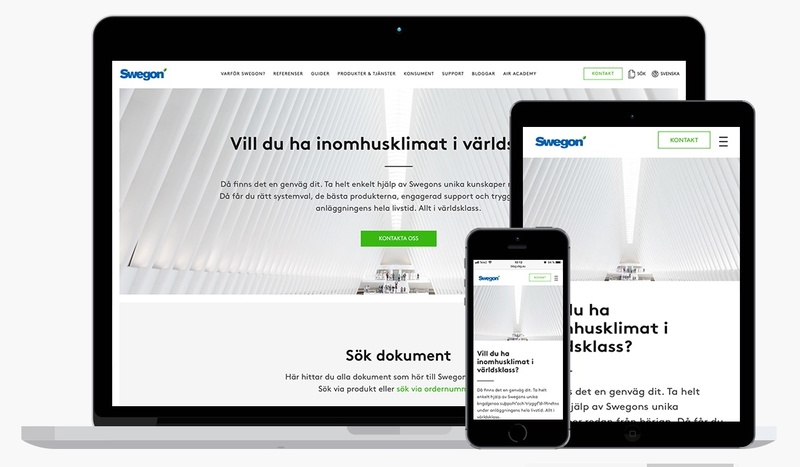 Swegon has launched their new Swedish online presence as a continuous step on their inbound journey! Swegon is a global company, part of the Latour Group. They offer products and intelligent systems for energy efficient indoor climate solutions. Their new online presence on the Swedish market includes e.g new design, content - and product orientation from an outside perspective. Check for instance out the guides if you are looking for the most optimised solution for a specific building type! Congratulations on the launch, we are looking forward to seeing the planned next steps and rollouts for more markets! If you want to learn more about how to improve the quality of air at home or at work, read Swegon´s blogs and subscribe! If you want to keep up to date with the latest news from Zooma, feel free to subscribe.